Eternium – The market now has a lot of medieval-themed role-playing game products. These products direct players to the adventures of young heroes. 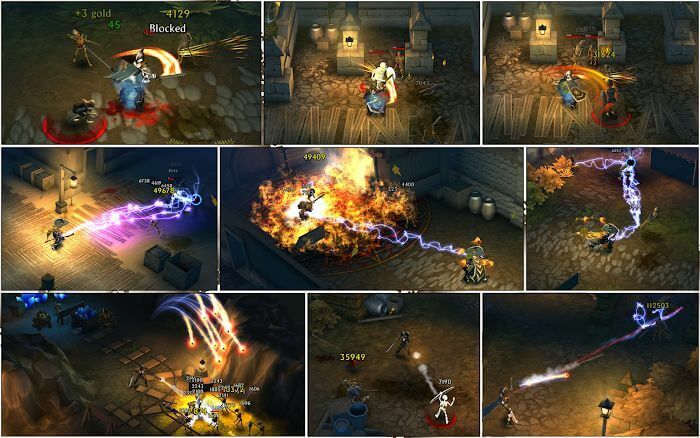 The common point of today’s popular games is designed with fun graphics and beautiful colors. That is true of current tastes when most gamers are teenagers. It is also because of that trend that games designed with old-style are getting less and less and not achieving the same high quality as before. Eternium is one of the modern products but designed in the old style. The game has been released since 2014, up to now five years ago. With such a moderate roadmap, it has learned the game style of today’s gamers and moderated between two old and new elements. As a result, this gaming community has grown and grown with more than 10 million downloads on Google Play. Not to mention the new features that have just been updated in the last version, there was a huge update for it in 2017. Correctly, I have received many new features such as real-time multiplayer, town portal, and a fourth world. This is what makes the product more attractive and diverse. The gameplay of this game will give players an exhilarating excitement. First, consider the way “Eternium” works in control. In other games, when players will control their characters with left thumb controls. The player in “Eternium” then the player will navigate by touching the screen. This makes the player’s experience look like working on a PC, just like a classic. Besides, this control has the most significant advantage that the player will have a hand-free feel. This means that when you use the MFi-style controller, you will have to keep your thumb in the joystick constantly. With tap-to-move, players only need to determine their destination and then tap the screen. You can touch anywhere on the screen with both hands, making the character move more smoothly. Besides, while the character moves, your two fingers are comfortable and more accessible to combo. Talking about how to combo, this game does not offer available moves and leave them on the screen for players to click on. They consider having to draw simple strokes on the screen to cast spells. This is why the control system must make your fingers comfortable. 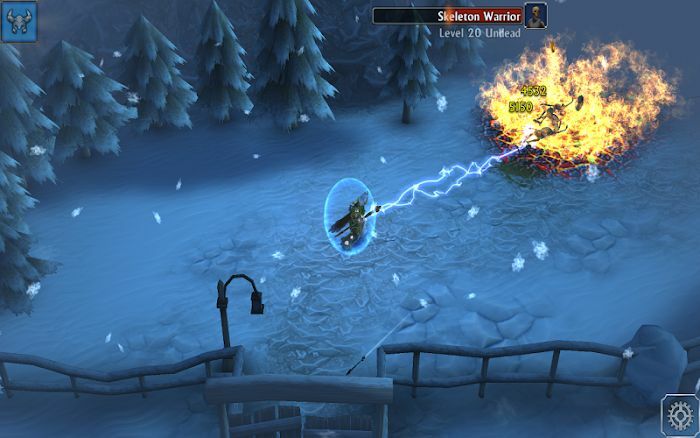 When you fight, players will have to use a basic technique in most hit-and-run RPGs. When participating in the “Eternium” game, players will play the role of influential people. For example, mage, Warrior or Bounty Hunter, wielding a sword, ax, staff or gun. They will have different skills and different drawings to use their powers. 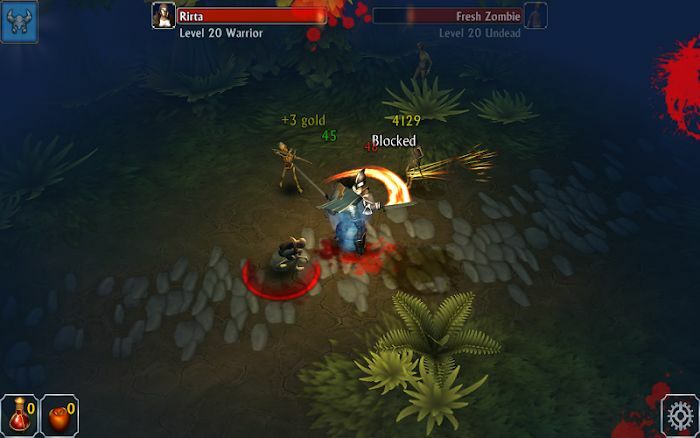 When dealing with powerful monsters like Battle skeletons, zombies, automatons, aliens, demons, dragons, and many other creatures, … Players will have to use all their abilities, fighting until they reach Kill all monsters on the map to pass another challenge. 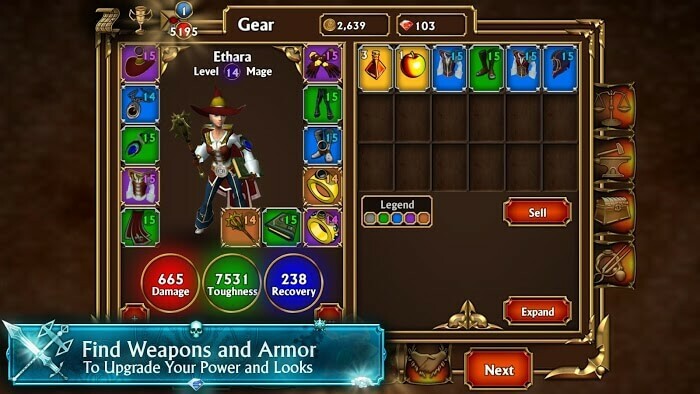 With 70 levels of heroes, people can easily upgrade their powers and customize them to suit themselves. Besides, after reaching level 70, the player is also transferred to Champion Levels for different experiences with increased power.